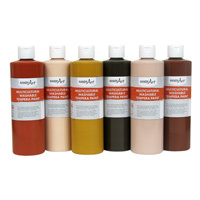 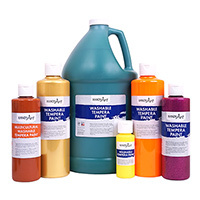 Handy Art® Washable Tempera Paints are vibrant and washable, a twist on traditional tempera paints. 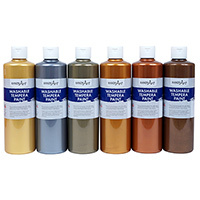 Handy Art® Washable Tempera Paints will wash from most clothing and surfaces, providing youngsters a greater opportunity to express themselves creatively. 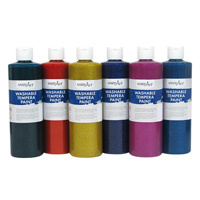 Available in over 40 colors; including regular, fluorescent, multicultural, metallic and glitter. 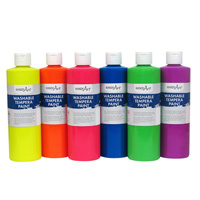 Handy Art® Washable Tempera are certified AP non-toxic.